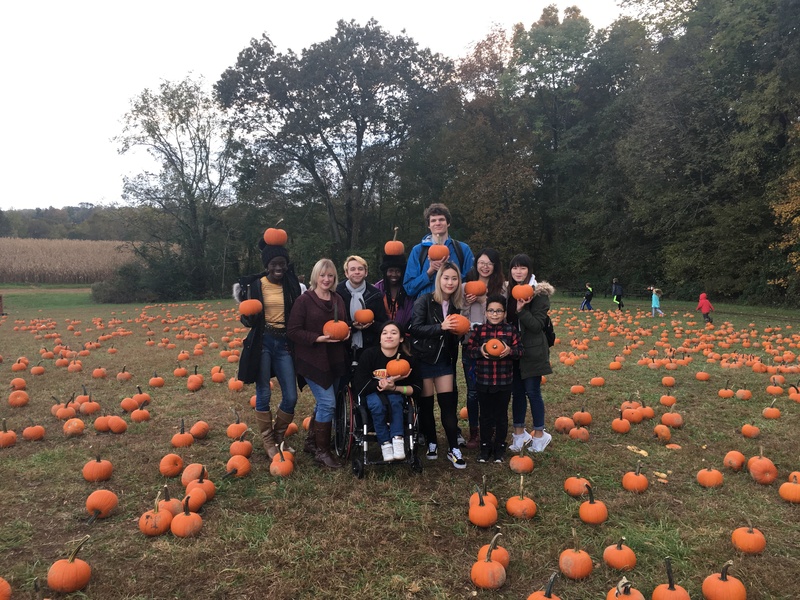 A group of international students from Belmont recently spent a day at a local fall festival, an experience they hadn’t taken part in before. Director of Title IX Compliance and Prevention Programs Lauri Chaudoin planned the excursion in partnership with Bonnie Marschner, interim assistant director of international student and scholar services in the Study Abroad Office. Passionate about international student support services and study abroad opportunities for students, Chaudoin is a Belmont alumna who was part of the University’s first study abroad trip to Germany in 1992. This experience, coupled with her leadership as a board member for a nonprofit ministry that supports an orphanage and school in Uganda and her many travels to Uganda, has created her interest in international student support and development. Having never seen a fall festival before, the students were unaware of what the experience would include. They visited Honeysuckle Hill Farm where they rode a hayride, visited a pumpkin patch and carved pumpkins, saw the petting zoo, bounced on the jumping pillow, played in the corn kernels, slid down the giant slide, experienced a corn maze and more. For dinner, the group gathered around a bonfire, roasted hot dogs and made smores. They ended the night with a half-hour fireworks show.